On 15 October, the British peer and racing driver set a slew of speed records behind the wheel of his Lola Drayson electric prototype racer, including a run of 205.139mph (333.271kph). That speed represents the average of a pair of one-mile passes on a closed runway at Elvington Airfield in Yorkshire, England. 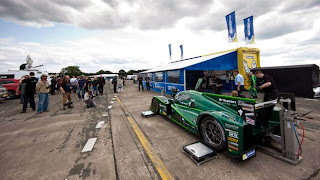 (According to racing’s governing body, the Fédération Internationale de l'Automobile, speed records must be recorded by runs in opposite directions within an hour of each other to offset the effects of sloped terrain or wind.) 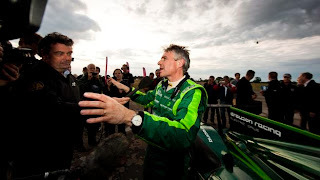 The runs were – pending FIA verification – sufficient to earn EV world records for the flying mile and the flying kilometer. The 53-year-old Labour Party member also set an EV record for the standing-start quarter-mile, recording a time of 9.742 seconds. And for good measure, in addition to his impending world records Drayson chalked up a British flying-mile speed record for a wheel-driven vehicle powered by any kind of engine (as opposed to jet- and rocket-engined cars that don’t power their wheels). 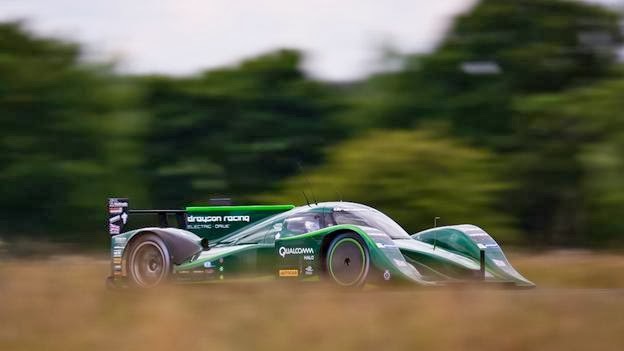 The Drayson racer’s electric motor produces a maximum of 640kW of power (that’s about 850hp), which is more than double that of the highest-performance version of the speedy Tesla Model S road car. 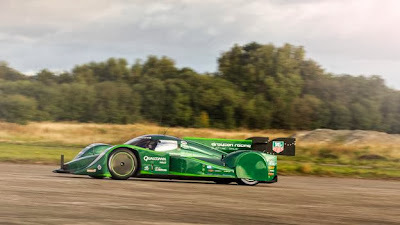 Such power is sufficient to push the verdant 2,200-pound racer to 60mph in three seconds flat. Drayson Racing Technologies had intended to test the car’s top speed in the US in September, across Utah’s famously flat Bonneville Salt Flats, but foul weather and flooding scuttled the attempt.